Population 1.1 million, metropolitan region 2.7 million. By analyzing the investments by region, InvesteSP found that Campinas was the location that most received investments in São Paulo state in 2013. In total, nine companies invested together over US$ 941 million, generating 3,574 jobs. The highlight was Honda, which will invest US$ 463 million in the construction of its new plant in Itirapina, which will include approximately 2,000 employees. Campinas is the undeniable queen of Brazil’s non-capital economic centres. It is situated in São Paulo state, close to the metropolitan region of São Paulo city (pop. 20 million) and a one to two hour drive to the state capital (depending on conditions). Nevertheless Campinas has carved out its own position and identity among Brazil’s cities, even in São Paulo state. Campinas has its own international airport, which has just been privatised and is set to be expanded considerably in the next years. Due to the operations of several Brazilian passenger airlines, such as TAM, Gol, Trip and, more recently Azul, which has made Viracopos its main national hub, the airport is now also the third busiest passenger airport in the state of São Paulo. The fast train line TAV is planned to connect São Paulo to Viracopos airport and Campinas, thus enhancing its importance in air transportation in Brazil. With foreign investment, extra runways and terminals will be built, making Viracopos one of the most important international airports in the country. 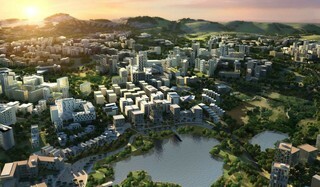 This development will no doubt generate a high percentage of economic growth in Campinas. The city has excellent highways running in all directions of São Paulo state. It gives access to a huge agribusiness region, it is home to many IT businesses and other national and international enterprises, as well as a range of universities and institutes. The Campinas education level is high. 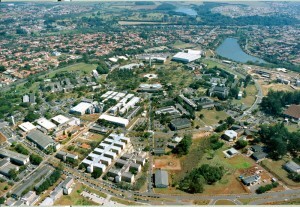 The region is home to many research centers and universities, such as LNLS, CPqD, CenPRA, Embrapa, Unicamp, Facamp and Puccamp. Campinas’ main economic activities are agriculture (mainly coffee, sugarcane, and cotton), industry (textiles, motorcycles, cars, machinery, agricultural equipment, food and beverages, chemical and petrochemical, pharmaceuticals, paper and cellulose, telecommunications, computers and electronics, etc. ), commerce and services. Campinas also boasts the largest number of high-tech business incubators and industrial parks (a total of eight), such as the CIATEC I and II, Softex, TechnoPark, InCamp, Polis, TechTown, Industrial Park of Campinas and others. Examples of Campinas-bred technologies are fibre optics for telecommunications and medical applications, integrated circuits design and fabrication, satellite environmental monitoring of natural resources, software for agriculture, digital telephone switches, deep-water oil exploration platforms and technologies, biomedical equipment, medical software, genetic engineering and recombinant DNA technologies for food production and pharmaceutics and food engineering. Because of this, Campinas has been called the Brazilian Silicon Valley. Cons: the city is so popular with business travellers that it may be hard to find accommodation during the week. Must know: The Brazilian Pró-Álcool Program was developed in Campinas: a whole industry based on the use of ethanol as a combustible for motor vehicles, including a new sucrose-rich sugarcane, alcohol refineries, a huge distribution system, and, most recently, an internal combustion engine capable of using either gasoline or ethanol. Population 520.000, metropolitan region 1.1 million. This developing city is a hub of Brazil’s mid-tech and engineering industry as well as IT. Joinville is close to São Francisco do Sul port and Paraná’s state capital and business hub Curitiba and has one of the highest standards of living in Brazil. 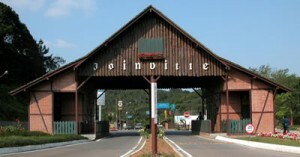 Owing to its development and good infrastructure, Joinville has also become a major center for events and business conferences. The city is central to some of Brazil’s largest software companies such as Datasul, Logocenter, Microvix and SoftExpert as well as many other large corporations in Brazil such as Tupy, Tigre, Embraco, Dohler, Whirlpool, Wetzel, Busscar, Ciser, Schulz S/A. Joinville airport serves domestic flights. But in the immediate vicinity (one to two hour’s drive) of Joinville are three other airports: Navegantes, Curitiba International and Florianópolis International. Most of Joinville’s inhabitants are of German descent, as the city was colonised by a society from Hamburg, Germany in the 1850s. It also attracted many Swiss, Norwegian and other Europeans. Joinville has plenty of universities, like FCJ (Faculdade Cenecista de Joinville), UDESC (Universidade do Estado de Santa Catarina), Univille (Universidade da Região de Joinville), UFSC and many others. Cons: Joinville is still not known very well outside Brazil, it could make some publicity. Must know: Joinville is the only city outside Moscow to have a school of the Bolshoi Ballet, the renowned Russian Ballet Company. Are you planning on doing business in Brazil’s Next 10 Hottest Business Cities? Population 610.000, metropolitan area 850.000. Uberlândia is located in the western part of the state of Minas Gerais, in the region called Triângulo Mineiro, a huge strech of Minas Gerais squeezed in between the north of São Paulo state and the southern border of Goiás state. The Minas Triangle is one of the richest agricultural regions of Brazil, situated between the Paranaíba and Grande rivers. It is well connected to major cities by a number of federal highways. Uberlândia is about 580 km away from São Paulo, connected by a modern and safe double lane highway. The capital of the state of Minas Gerais, Belo Horizonte, is 560 km away and Brasília, the capital of the country, lies just 440 km to the north. There are railways connecting Uberlândia via the north-south Centro-Atlântica line. The city has some of the best infrastructure for logistics in the country: highways to all directions, railways and an airport. Uberlândia also has several colleges and many universities, among which the Universidade Federal de Uberlândia, which has a university population of approximately thirty thousand students and is one of the most important universities in the country. The region has a consumer market of three and a half million people. Although the city’s main focus is in the logistics and services sector, an important segment of the local economy is dedicated to manufacturing. 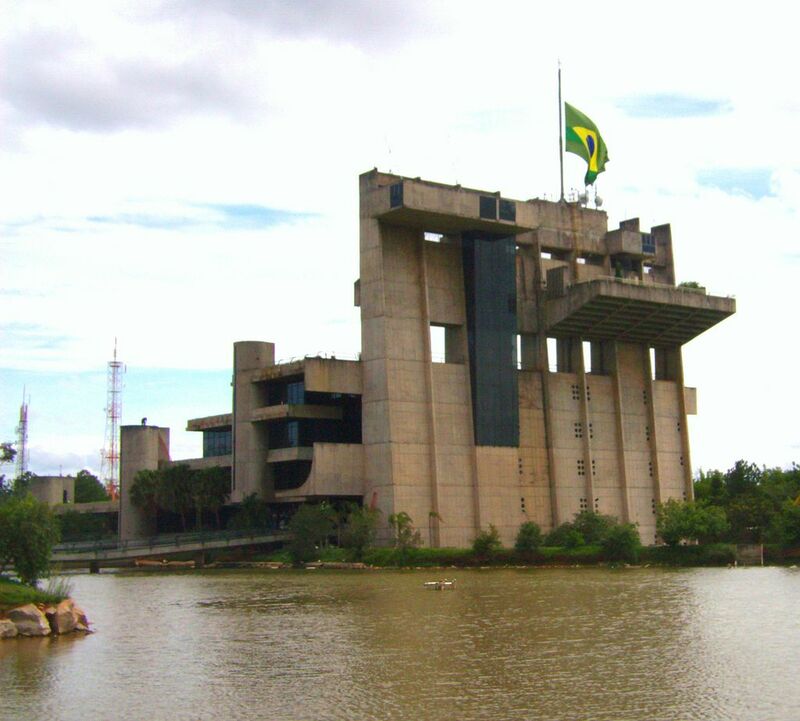 Mainly situated in the city’s northern industrial park, some of the country’s major companies as well as international enterprises are operating in Uberlandia, such as Cargill, Casas Bahia, Companhia de Telecomunicações do Brasil Central (CTBC), Monsanto, Petrobras, Sadia, Souza Cruz e Coca-Cola. Cons: Uberlândia is not yet well known outside Brazil. Must know: Uberlândia has a huge convention centre with a hotel and other amenities. Population 600.000, metropolitan area 1.4 million. In 1911 this city sprang to life with the opening of its first factory, the Antarctica Brewery Company, nowadays part of the AmBev group. Later, a branch of the University of São Paulo came to town and this USP-RP stimulated the cultural and academic life in Ribeirão Preto. Several other schools, colleges and universities opened in the city since then. Nowadays the town has many other colleges and faculties such as Centro Universitário Moura Lacerda, Faculdades Bandeirantes, Centro Universitário Barão da Mauá, Faculdade Anhanguera, Faculdade Reges, Faculdade São Luís, Faculdades COC, Universidade de Ribeirão Preto (UNAERP), Universidade Paulista (UNIP), Fundação Armando Alvares Penteado (FAAP), Fundação Fritz Muller (FFM), FGV-COC (Fundação Getúlio Vargas). Besides sugar and alcohol, Ribeirão Preto’s major products are orange juice, cotton, rice, meat, dairy products, textiles, machinery, steel, furniture, building materials, agrochemicals, pharmaceuticals and, of course, beer. The city hosts yearly the “Agrishow”, one of the most important agricultural trade shows in Brazil. Ribeirao Preto has a domestic airport and is well connected by highways and railroads. The airport is also home to Passaredo Airlines. Cons: the city’s main economic focus is agribusiness. Must know: The Antarctica factory led to the opening of several beer houses in the city and one of them was named Pinguim. Many people say that Pinguim has the best draft beer in Brazil and it is now a symbol of the city: coming to Ribeirão Preto and not visiting Pinguim is like going to Rome and not seeing the Pope. Population 510.000, metropolitan area 1.1 million. In 1925, the Northern Paraná Land Company was established in London, England. It was responsible for the colonisation of more than 500,000 acres (2,000 km2) in the northern part of Paraná state, which today contains some of the largest cities in Paraná. The region’s fertile land encouraged São Paulo colonists to move in and acquire new areas for production. The city of Londrina was built as recently as the 1940s. Agriculture continues to be Londrina’s major economic activity, although its importance has diminished in recent years. Agricultural activity has been diversified beyond coffee and today corn, wheat, cotton, horticulture, beans, peanuts, rice, sugar cane, soy bean, and fruit plantations thrive due to the rich “terra roxa” earth, found in Northern Paraná/South Western São Paulo State. Cons: Agribusiness is still the main economic activity in the region. Must know: The name Londrina pays homage to the British capital London (Londres in Portuguese) and was inspired by British entrepreneurs who built railroads in the region to transport coffee from northern Paraná and southern São Paulo state to the port of Santos. Population 1.6 million (including Santos city 420.000, Guarujá 300.000, Sao Vicente 300.000 and others). The region is called Baixada Santista in Portuguese and hosts the largest port of Latin America, as well as a huge industrial complex and it is the beating heart of Brazil´s shipping industry. 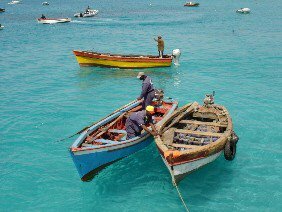 Santos and surroundings also boast excellent beaches and hotels, so tourism is a huge industry here, mainly catering to Paulistas. Guarujá city offers some of the country´s best beach hotels. Santos port also receives many cruise ships. The area is a one hour (depending on conditions) drive from Sao Paulo city via a pair of spectacular highways (Imigrantes and Anchieta) cutting through the Atlantic Forest and mountain range. Santos port and private terminals handle a large portion of the world’s coffee exports (by the way, visiting the Coffee Museum in the centre of Santos city is a must), as well as a number of other vital Brazilian exports, including steel, oil, cars, oranges, bananas and cotton. In 2012 the port of Santos established a new record by trans shipping no less than 104.5 million tons of cargo, signalling a growth – in spite of the world crisis – of 7.6% from 2011. Exports contributed 72 million tons and imports rose to 34.6 million tons. In October 2006, light crude oil was discovered off the coast in the Santos basin which is adding a new industry to the region, oil exploration. Petrobras is investing heavily in the area. Cons: There is no airport and travellers have to rely on São Paulo´s busy Congonhas and Guarulhos airports. The good news is though that in 2014 a small civilian airport will become operational in Guarujá. Though several new investments and expansion projects are taking place, there is also little room left for port and industrial expansion in the future. Population 700.000 inhabitants, though together with neighbouring cities in the Vale do Paraiba more than 1.2 million. Thanks to two highways this city is very close to Sao Paulo. Those roads also connect the city to Guarulhos international airport. 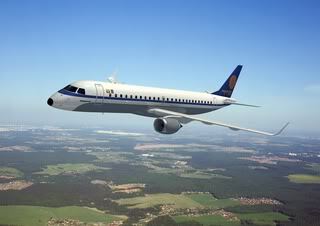 The short drive from Sao Paulo will bring you to the continent’s aeronautics hub, with the Embraer factory at its core. 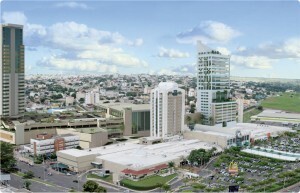 São José dos Campos has a central role as a research center in Brazil. 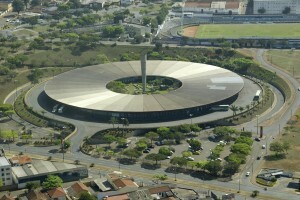 The Brazilian National Institute for Space Research (INPE) has its headquarters there. It coordinates intensive research and development in areas such as earth observation, space sciences and space technologies. Also the Brazilian General Command for Aerospace Technology (CTA) has established its facilities here. The three main local industries are automotive, oil/petrochemical and aerospace. There are also important pharmaceutical, consumer durables, chemical, and telecommunication companies in the city. Incubators for tech start-ups have been set up at Univap University and at the Petrobras Henrique Lage refinery. The CTA houses another incubator, Incubaero, focusing on aeronautics. Univap features a technological park with capacity for around 40 small to medium sized innovating companies in the areas of materials, electronics and telecommunications, information technology, aerospace, energy, environment control, biotechnology, bioinformatics, chemical engineering, and software among others. A new technological park, managed by the municipality and the state government of São Paulo, will house two new think tanks: the Institute for Technological Research (IPT) and the ItecBio (Instituto de Tecnologias Biomédicas). This stretch of the Paraiba valley boasts some other developing cities nearby, such as Jacarei (the nations beer capital), population 220.000, and Taubate, population 300.000, with automotive plants and other Embraer facilities. Resort towns such as São Sebastião, Ilha Bela and Ubatuba are a good hour’s drive from São Jose. The same goes for mountain resorts like Campos do Jordão. 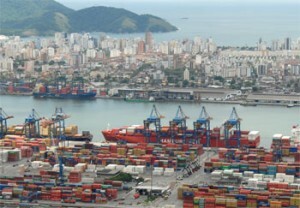 São Sebastião also has a small but efficient port that is to be expanded within strict environmental rules. 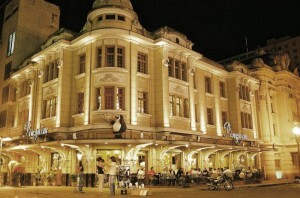 São José itself has good hotels and good catering options are available too. Cons: The dependency on aviation and automotive production, both sensitive sectors, could make the city prone to heavy development fluctuations. The highways connecting the city to Sao Paulo can be quite congested during the week. Must know: São Jose dos Campos will get a stop on Brazil’s bullet train between São Paulo and Rio. Population of almost 600,000 inhabitants, urban region totaling over 1.4 million inhabitants. By analyzing the investments in Sao Paulo state in 2013, InvesteSP found that the regions of São José dos Campos and Sorocaba came in second place, with 21% each of new investments. Sorocaba’s economic development is already fifth in SP state, with US$ 3 billion of Gross Domestic Product. Its industries export to over 115 countries, generating an income of US$370 million per year. There are over eight thousand trade organizations and another eight thousand service businesses. Sorocaba’s industrial park is well-served by roads, highways, and public transportation. The industrial park boasts more than 25 million square meters and over 1600 industries. Main economic activities are: industrial machinery, heavy metallurgy, ironmaking and steelmaking, automotive parts, industrial textiles, agricultural equipment, chemical and petrochemical, cement production, eolic energy, pharmaceutics, paper and cellulose, electronics, telecommunications, tools, commerce and services. Its tools, automotive parts and pharmaceutics industry are the biggest in Brazil. The Ferroban railroad (formerly Sorocabana Railway and FEPASA) are connected to São Paulo and Santos port, the largest seaport in South America. The railroad is also an important link to Mercosur, reaching both Argentina and Bolivia. Sorocaba also boasts a dry port terminal, which provides efficient road linkages to the various ports and airports of the region including Bertram Luiz Leupolz Airport, which has one of the busiest cargo terminals in the State. A second airport, with much higher traffic and passenger capacity is currently being planned for the upcoming years. Cons: When it comes to hotels and restaurants better stick to Sao Paulo city. Must know: Soracaba was known in the late 19th century as the Manchester Paulista, due to its cotton industry. Ipojuca and Cabo de Santo Agostinho municipalities together have a population of 270.000. We are cheating here as Suape is not a city. It is part of Ipojuca town, which is part of the Recife metropolitan region. Yet, the development of Suape, one of the largest ports and industrial complexes of Brazil, together with the strong presence of the tourism sector in the area, makes it one of the fastest growing economic zones of the country. Suape has one of the most important container terminals in northeast of Brazil and the port plays an important role in the economy of the state of Pernambuco. But liquids (petroleum by-products, chemical products, ethanol, vegetable oils, etc.) constitute more than 80% of the port’s movement. The port has an operational draft of 14.5m. More than a hundred companies from almost all industries are already installed or trying to get installed in Suape, including a Petrobras refinery, the largest shipyard of South America (Atlântico Sul) and a large petrochemical complex. The general importance of the port for the North Eastern region of Brazil will increase with the completion of the Transnordestina railroad, which will connect 7 states. There is an excellent international airport in Recife with flights to Europe (including many charters), Miami and Panama. It is said to be ready for the FIFA 2014 World Cup. Suape Port is situated in Ipojuca municipality (pop. 80.000 and growing), which has one of the highest per capita incomes in Brazil. It is famous for its beaches as Porto de Galinhas, Muro Alto and Maracaipe. Huge investments in real estate, both commercial and residential, are underway in Cone Suape, a new town serving the port and industrial complex. The main economic activities in neighbouring Cabo de Santo Agostinho town (pop. 190.000) are based on tourism and commerce as well as a diversified industry also serving Suape port. The town hosts many port workers and engineers and has some excellent beaches. Cons: Nearby Recife has a reputation as one of Brazil’s most violent cities. Must know: The Dutch connection. Recife in the seventeenth century was a well known Dutch West Indies Company colony. Suape Port’s development in recent years was assisted by the management of the Port of Rotterdam. Population 200.000 or 300.000 including nearby towns such as Búzios, Arraial do Cabo, etc. This is our last city and it is our wild card. With the new Cabo Frio International Airport (still serving mainly other Latin American destinations), its highly sophisticated tourism, some investment by Petrobras, a legion of retired Cariocas and visits by cruise ships, we think this area is ready to be propelled into world fame. Cabo Frio and the other towns are connected to Rio by means of a good highway, which may cost you a two hour drive, depending on conditions. The growing combined population of the area will reach a critical mass soon and the international airport and wealth of its citizens make it well placed for becoming the continent’s Nice or Cannes. This is still a playground for the rich, but expect tourism numbers to jump as Brazil new middle classes start to travel. Cons: there are so many good options for accommodation and so many excellent beaches, that there is a risk it may drive you mad! Must know: Búzios still advertises itself as a place once visited by Brigitte Bardot! Third Edition April 2014, Second Edition March 18th, 2013, First Edition April 2012. All rights reserved by Brazil Weekly/Rotterdam Week.